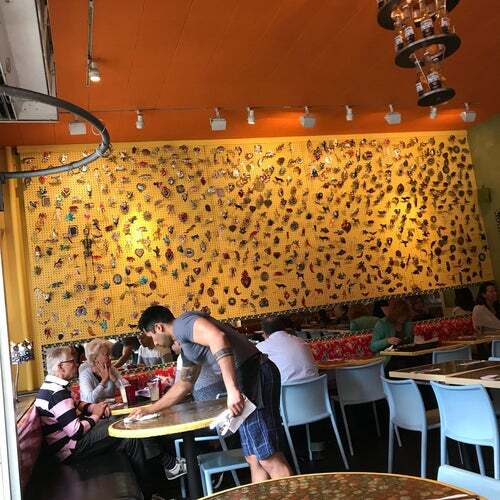 We feel like we're back in Puerto Vallarta at El Centro, located where we first fell in love with Vynl on the corner of 54th and 9th Ave. Hells Kitchen has some long-time fun Mexican hot spots and El Centro competes with the best. The bartenders know how to make a mean margarita, so come ready to drink with the best. The vibe is pretty good at this restaurant that is owned by the same group that brought you Vynl and Hells Kitchen. The food is pretty good, and the margaritas (especially the Pomegranate) are better!